It's that time of the year again – time to greet the New Year, but also time take a moment to introduce myself to new readers and add a bit of background. I'm a passionate fan of modern(ist) homes since I was quite young. According to my mum, as baby I was parked in my little crib in my parents' dining room, jazz playing in the background, while they discussed with their architect friend the modern house they were going to build, in which I would grow up in (modern vs. modernist is another post I regularly schedule, as it is a bit confusing. But there is a correct answer). Unfortunately never having studied architecture, I snuggled up to it by opening my own office (now located in Boca Raton, Florida) as an independent real estate broker and consultant for modern architecture in 1990, approximately covering the area between Vero Beach and South Miami on the Atlantic coast. It took me a bit to find my focus in real estate, and that in a market flooded with real estate agents. After being licensed I worked several years in all sorts of residential and commercial real estate: a generalist. But I found my calling over 15 years ago: modern homes, from mid-century to today's modernism. My real estate background is commercial, so I also know something about NNN-investment properties and still work in that field as well. One of my most important tools and part of my secret sauce is The List. For many years, I have been documenting modernist properties in South-East Florida: observed, accidentally found, searched out, or through our Realtor property database MLS, they all end up in my Master List of contemporary and mid-century modernist properties - mostly single family homes, with a condo building, a supermarket or even a car dealership included for good measure. Our MLS database is a bit tricky; since there is no “Modern” filter I devised my own. Consequently, I have as many as nine special searches running parallel, handpicking modernist properties for my list several times a week. 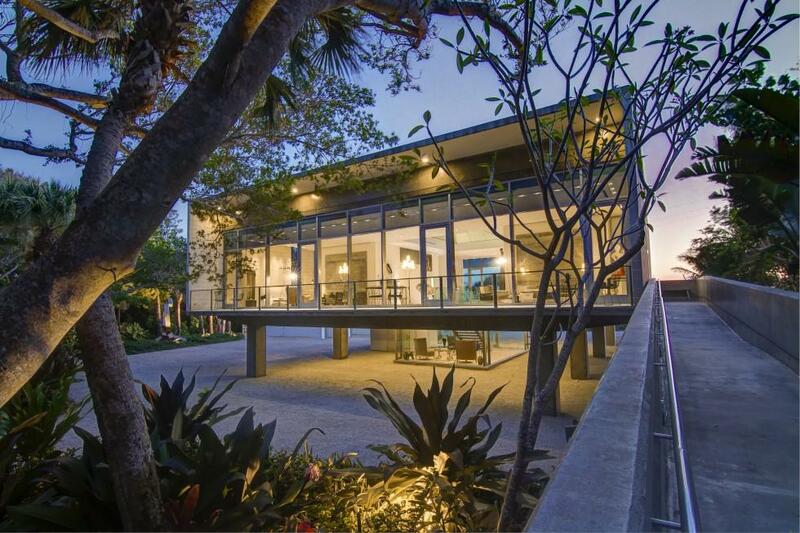 Over the course of the years, this list has grown to more than 4,500 unique modernist properties in Southeast Florida, covering roughly the area between South Miami and Vero Beach. It is a labour of love and real work to keep the list updated, including sales prices. However, it's not only an excellent educational tool but truly invaluable when it comes to finding modern houses for buyers who know what they want, or for sellers who need an expert to properly evaluate and market their modern home. I warmly invite your comments, questions and inquiries, independent of you being a seller, a buyer or a simply a fan of modernist architecture.